Quick shipping and amazing customer service. This arrived faster than expected so it relieved my anxiety in getting the ring ready in time to propose. 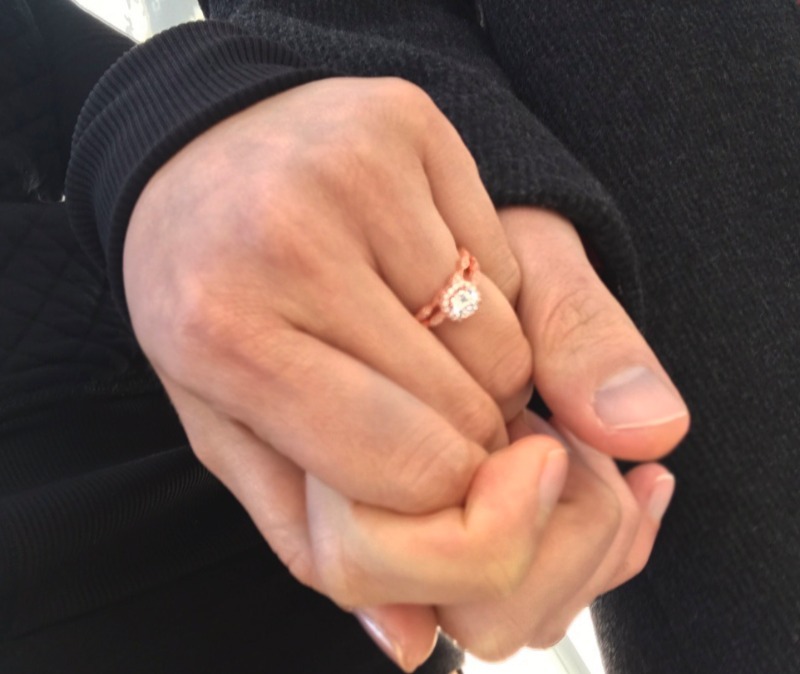 Thank you for your help and .....SHE SAID YES! Such a beautiful set! The picture doesn't do it justice. Their packaging was beautiful too. You can tell that a lot of thought and passion goes into this jewelry. 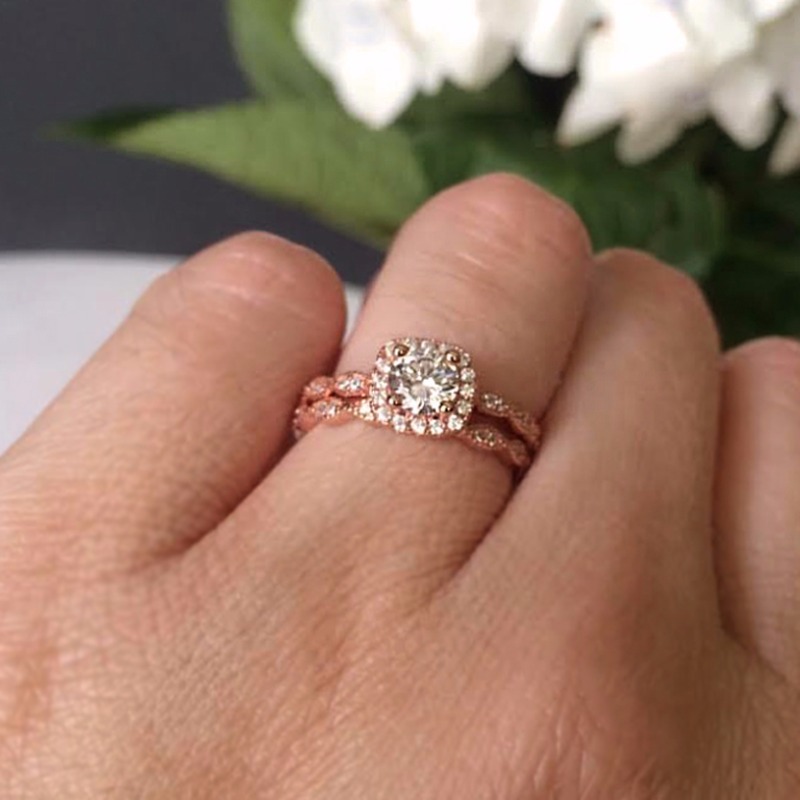 Modern yet romantic, honor the one you love with this stunning halo set.